The most hated man in boxing, Antonio Margarito will make his return to the ring on May the 26th but as of yet no opponent has been named. The bout is rumoured to be scheduled for ten rounds and will likely take place in the Light Middleweight or Middleweight division. In December last year, Margarito was stopped by Miguel Cotto between the tenth and eleventh rounds of their fight due to swelling on his right eye. That loss to Cotto made it three losses in four fights for Margarito and with two losses in his last two fights you would think that he is in no position to challenge for a world title. However Margarito's name has been mentioned as a possible opponent for WBC Middleweight champion Julio Cesar Chavez Jr who is scheduled to fight Andy Lee. 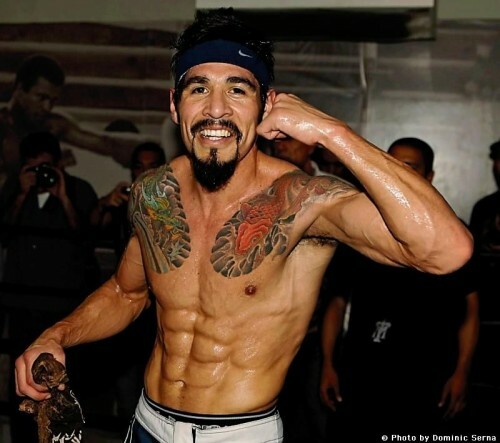 Before Margarito fought Manny Pacquiao in late 2010 he fought in a ten round tune-up fight against Roberto Garcia. So I would expect Margarito to be facing another Roberto Garcia type opponent for his fight next May. Are you interested in Margarito fighting? Or do you think he should call it a day?